The volleyball team listens to coach Daryl Skelton during a time out. 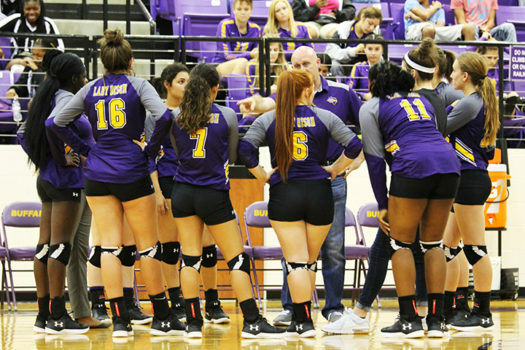 The Lady Bison started district play with a trip Westwood to compete in their first district volleyball game of the season. The Lady Bison lost against Westwood and Teague, but that didn’t stop them from trying in the next game; the Ladies won their game against Frankston. Many of these girls have had positive attitudes towards the start off of district. This team still has plenty of more games to play and as always, they will keep on practicing every day and playing with determination.